At last. A ray of hope! Up to now, all the spring growth that has been edible has come with a natural health warning “Not to be eaten by those susceptible to Gout.” There is no doubt I should be proud to be included in this merry band. Gout was called the disease of Kings and, while I don’t have a list of Kings who suffered the swollen toe, there is a school of thought that believes Tyrannosaurus Rex had his problems. Ancient Egyptians complained about it. The Greeks had a word for it (so we promptly pinched it off them), in fact it has been limping along, dogging our footsteps, since the very beginning. While it is easy to believe that Kings imbibed a little too freely – see Old King Cole et al. – I do wonder where Tyrannosaurus Rex did his drinking. Was he down the pub every night, do you think? Or maybe just Fridays with the boys? The other common dietary no-no is shellfish. Was the King of the Dinosaurs fond of throwing another trilobite on the barbie, then? But, on to the good news. 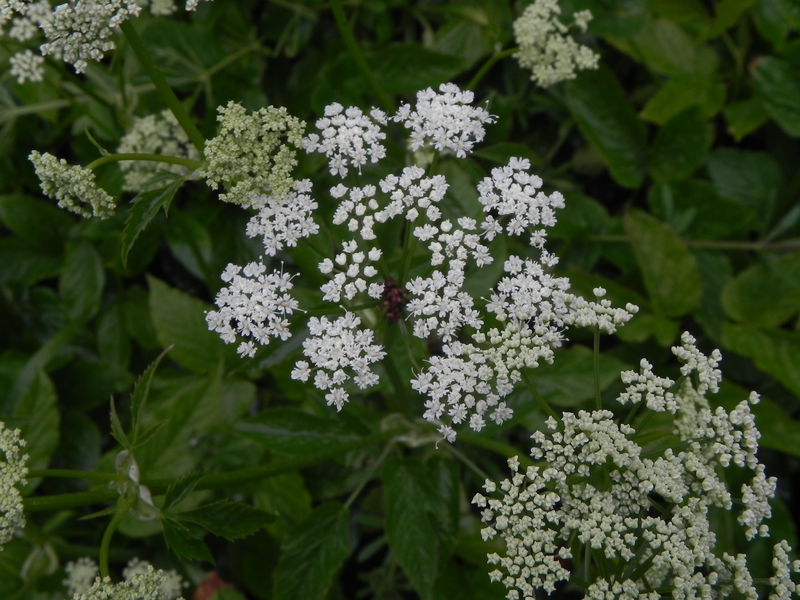 Ground Elder is good for Gout! Let me repeat that. Ground Elder is good for Gout. I needed to repeat it, because gardeners out there will have trouble believing that Ground Elder is good for anything and would have thought they misheard the first time. I need to pick the new leaves and fry them, apparently.